We believe in the power of nature to replenish our spirit and restore balance to our lives. That’s why, each day from today through Christmas Day, we will post a “Moment of Chill”—a short video that will transport you to a place where you don’t have to do anything but watch, enjoy, and breathe. 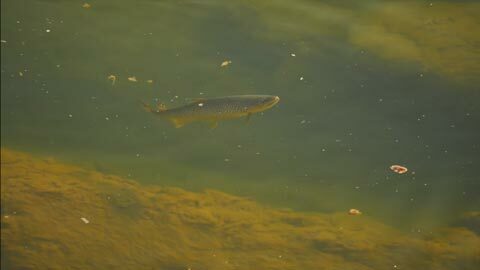 Today’s #momentofchill is from Jensen Fly Fishing, and it shows a large brown trout feeding lazily on the surface. He is clearly lord of his domain, which is what makes him so chill. Although large brown trout feed mostly on baitfish and insect larvae, they will come to the surface when there is a sizable insect hatch. You can tell how confident this fish is by the way it stays near the surface, calmly sipping bugs. In a river where eagles or ospreys prey on trout, this fish would be much more careful about remaining exposed. And if you’re having a rough day and feel the need for some new chill NOW, visit the Moment of Chill homepage.